Sell us your broken iPhone & Samsung LCDs! 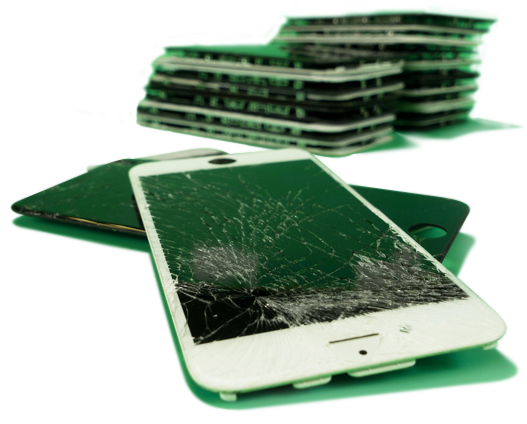 Distriwise offers a professional solution for the intake of broken iPhone and Samsung LCDs at very preferable reimbursements. We guarantee transparent intake checks and quick payment within 3 days. Acceptance conditions for iPhone & SAMSUNG: OEM (Quality A,B,C) or non-OEM LCDs (refurbished only). The cracked displays must be fully functional, where only the glass is broken or damaged. Damage or disturbances like bad back-light, dead pixels, grey area, white lines and discolouration, screen burns, water damage or edge pressure damage do not qualify for the Quality A category. You’ll receive your payment through a wired money transfer (after receiving your invoice), and we do not pay in cash.